Starforce guitars were made in Korea and distributed in the USA by Tropical Music, but also in the UK by B&M as this 1988 advert shows. The ad features model 8006 and 8007 superstrats - these also came with crackle and graffiti finish options. The lady on the left is holding a Starforce with sharktooth inlay which could well be a model 6000 - the Starforce Jackson V style model. 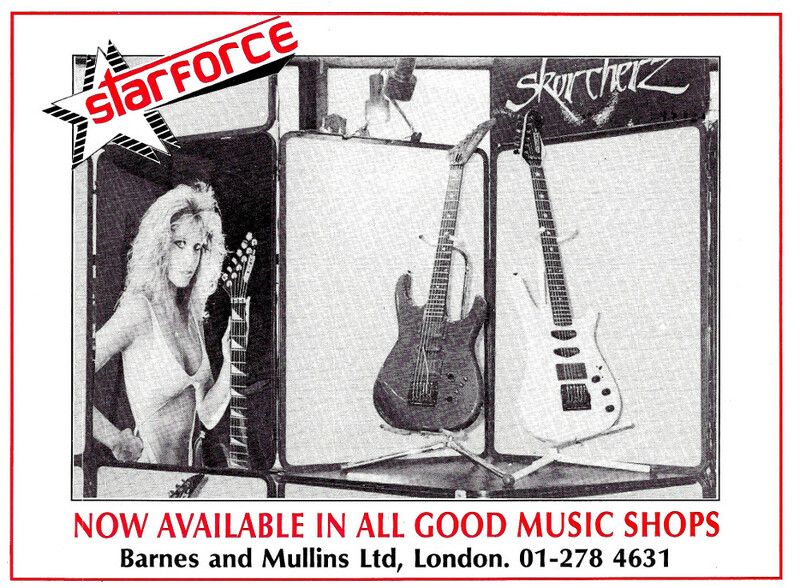 All the Starforce guitars had Skorcherz pickups.